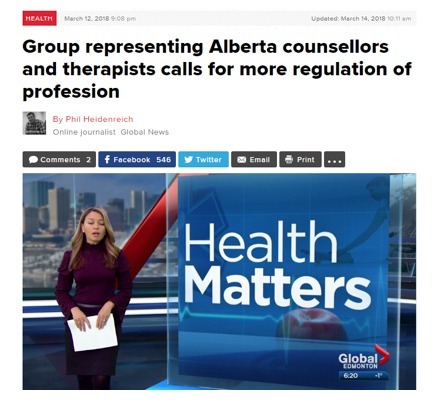 St. Albert Gazette, May 28, 2016: "Regulation will Protect Vulnerable Albertans"
FACT-Alberta Press Release: With More Albertans Using Mental Health Services, Regulation of Counsellors is Needed Now! 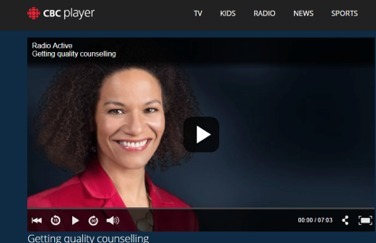 With More Albertans Using Mental Health Services, Regulation of Counsellors is Needed Now! March 12, 2018 (Edmonton, Alberta) – The Federation of Associations of Counselling Therapists in Alberta (FACT-Alberta) finds it promising that the Speech from the Throne addressed many social and mental health issues currently facing Albertans. The Government has promised to continue addressing the opioid crisis, expand counselling services to sexual abuse survivors, and increase quality and safety of public services to protect the most vulnerable. 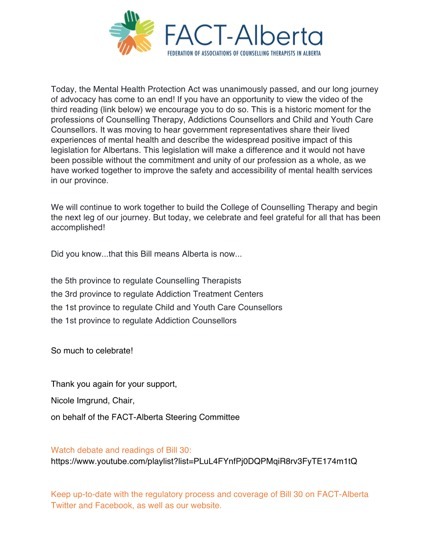 However, to accomplish these goals, FACT-Alberta continues to stress the importance of regulating counselling services in Alberta. Not regulating this profession is problematic for many reasons such as: lack of boundaries between the Counselling Therapist and the client, breach of privacy, incompetency in the counselling, and poor business or pricing practices. Any and all of these risks can create significant harms to those seeking help and can have lasting adverse effects on the patients’ mental health. “We need to ensure that our children are getting appropriate mental health services from regulated counsellors. We need to ensure that the survivors of sexual violence are being supported by regulated Counsellors Therapists who are accountable to a code of ethics and standards of practice, and have the advanced training that would allow them to counsel in complex situations” continued Ms. Imgrund. FACT-Alberta launched an advocacy campaign on Tuesday to regulate counselling therapy in Alberta after finding out that the Government has decided not to prioritize the regulation of counselling for legislation in the next year. In three days, Counselling Therapists and concerned Albertans have sent over 900 letters to their MLAs and to Minister Hoffman and Associate Minister Payne, a number that only keeps growing each hour. “With the increased openness to talk about mental illness and a decrease in the stigma surrounding seeking help, more Albertans are using the services of therapists and counsellors. We need to ensure that they are getting help from regulated professionals. We hope the Government will listen to its citizens”. The Federation of Associations for Counselling Therapists in Alberta (FACT-Alberta) is the provincial voice of member associations who are pursuing regulation and the development of the Alberta College of Counselling Therapists under Alberta's Health Professions Act (HPA) to promote and ensure public protection, accessibility and accountability. April 5, 2018 (Edmonton, AB) – The Federation of Associations of Counselling Therapists in Alberta (FACT-Alberta) held a press conference today on the steps of the Alberta Legislature with three MLA Champions to urge the NDP government to commit to legislation this year to regulate counselling therapy in Alberta. Nicole Imgrund, Chair of FACT-Alberta was accompanied by three MLA Champions, who all gave statements of support: Marie Renaud from St-Albert (NDP), Dr. David Swann from Calgary-Mountain View (Alberta Liberal Party), and Karen McPherson from Calgary-Mackay-Nose Hill (Alberta Party). With a decrease in the stigma surrounding seeking mental health services, more and more Albertans are turning to counsellors. In Budget 2018, released on March 22, the Alberta government dedicated $87 million to addictions and mental health in 2018-19. FACT-Alberta stresses that as more funding for counselling services is being provided by the provincial government, they should put in place safeguards to ensure that those seeking help are doing so by regulated, professional, and accountable counsellors. FACT-Alberta launched a very successful grassroots letter writing campaign to all MLAs and the Health Ministers in March which has already generated over 5,100 letters to Members. (Edmonton, AB) November 27, 2018 – The Federation of Associations of Counselling Therapists in Alberta (FACT-Alberta) is pleased with the Government of Alberta’s decision to move forward with the introduction of legislation to regulate counselling therapists in Alberta. As it stands, anyone can call themselves a counsellor and provide mental health services without proper training. This legislation will result in a College of Counselling Therapy to oversee the practices of Counselling Therapists, Addictions Counsellors, and Child and Youth Care Counsellors. “We are very happy with the Government’s decision to move forward with legislation” said Nicole Imgrund, Chair of FACT-Alberta and a Canadian Certified Counsellor. “We have been working with the Government for years, and have ramped up our efforts over the last year to convince the government that this legislation is much needed and much overdue. The Government has been very supportive of our position and this legislation is evidence that is shares our priority to provide vulnerable Albertans with the safeguards needed to ensure they receive safe and effective counselling services. “We’ve had some tremendous support in government for these changes, including Minister Sarah Hoffman, MLA Brandy Payne, MLA Marie Renaud, and MLA Debbie Jabbour. We are also appreciative of the bipartisan support we have received, including Liberal MLA Dr. David Swann and Alberta Party MLA Karen McPherson” continued Imgrund. Regulation currently exists in 4 provinces (Ontario, Quebec, New Brunswick, and Nova Scotia) and in all 50 states in the United States. Regulation protects Albertan’s from the various harms that can come from an unqualified and untrained person practicing in this space. From poor business practices, to incompetency in providing services, to lack of a formal code of ethics or standards to abide by, the risks can be many to unsuspecting clients who need help. “As more Albertan’s are seeking mental health services than ever before, this piece of legislation comes at a good time. It will ensure that Albertan’s are seeking help from qualified professionals” continued Imgrund. Legislation has been introduced in the Assembly entitled The Mental Health Services Protection Act and will go through the normal legislative process. FACT-Alberta hopes for a good dialogue among all parties to discuss this legislation and a speedy adoption into the Health Professions Act.